What is Airfreight 2100? How is it different from Air21? AIR21 is the Brand name of Airfreight 2100 Inc., the company. 1.1 Why did you change your rates? We believe in improving our services to provide better, more efficient logistics solutions for our customers. Updating our rates is one way of ensuring that we will be able to provide the same quality of services expected of us. 1.2 How come your rates are more expensive now than before? What are the changes in your rates? It has become necessary for us to raise rates for certain services and drop rates in others due to changing costs and market situations. This rate adjustment also includes smaller 0.1 and 0.5 kg weights for the Sulight Pouches, allowing you to save on shipping for lighter packages. Our Bigahe service is now more affordable than before. 1.3 How much is the declared value surcharge? The declared value surcharge is 1% of the declared value you place in the waybill. 1.4 What is the Declared Value Surcharge for? The Declared Value Surcharge is a guarantee for your shipments. In the event of loss, damage, delay, shortage, mis-delivery, or non-delivery, the Declared Value also serves as the replacement value of the shipment. The maximum value that can be declared is 50,000 PHP per airwaybill. 1.5 How do I find out how much my shipment will cost? Call the Customer Service hotlines, or check out our rate tables www.air21.com.ph and compute for your rates. value that can be declared is 50,000 PHP per airwaybill. 1.6 Is the PHP 1,000 minimum value of freight charges for pickup still in effect? We now accept shipments below the minimum rate of P1,000 in NCR, Clark, Subic, Baguio, Laguna, Cavite, Davao, and Cebu. Avail of this service by adding your freight charge to the remaining amount needed for you to reach the minimum rate of P1,000. 2.1 Where can I drop off my shipments? Please consult our Customer Service Representatives to get the nearest, most convenient drop-off location for you or browse http://www.air21.com.ph/locations/. 2.2 Can I ship food items with your Hebigat boxes? Our Hebigat boxes are not fully capable of carrying food items or dangerous goods. 2.3 Up to how heavy a package can the Su-light box carry? Our Su-light boxes are able to carry up to 4 kilos of your shipment. 2.4 Why are there smaller weight breaks for Su-light Pouches and Bigahe shipments? We now accommodate 0.1 kg and 0.5 kg weight breaks for Sulight Pouches and 0.5 for Bigahe shipments so that customers can pay less for lighter pouches and packages. 2.5 Can I ship food? What kinds? Yes, you may ship non-perishable food that is properly sealed and packaged. These are mostly dry or canned goods, and anything that will maintain good quality even without being refrigerated. Contents should not spill. 2.6 What packaging can we use when shipping food? You may use any packaging as long as the items are properly secured. Food must not be crushed or spill. 2.7 Can the consignee (recipient) pick up the shipment at one of your branches? Yes, please indicate HAL or Hold at Location on the airwaybill and write down the address of the Mail and More branch or AIR21 station instead of consignee's delivery address. 3.1 What is the delivery schedule? 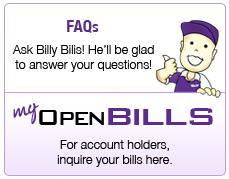 Yes, please indicate HAL or Hold at Location on the airwaybiil and write down the address of the AIR21 Business Hub branch or AIR21 station instead of consignee's delivery address. 3.2 Does AIR21 deliver during the weekends? 3.3 Does AIR21 deliver and pick up during holidays? Yes, however on holidays, AIR21 only delivers and picks up shipments that are scheduled beforehand. Please call Customer Service for assistance. 3.4 What time do you deliver packages? 3.5 What does limited delivery mean? Limited delivery means that due to the holiday, we are not at full delivery or pickup capacity. Expect an additional day of shipment transit time. 3.6 Will you deliver even if I'm not there? AIR21 offers door to door delivery service, anyone from consignee's address may accept the shipment in behalf of the ultimate recipient unless there is special instruction from the shipper that only consignee can receive the package. 3.7 How do I track my shipment? You can track your shipment using our online tracking here on the upper left portion of our website. Simply type your 12 digit airwaybill number in the Track your Shipment box. You can also track your shipment using your mobile phone or by calling our Customer Service hotline. 4.1 My company is an AIR21 account holder. How will this affect my existing discount on rates? Your account's existing discount will remain. Only published rates were adjusted. For further clarifications, please consult your respective Account Executive. However, if you still do not have an account, you may contact us by clicking HERE . 4.2 How can my company apply for an AIR21 account? 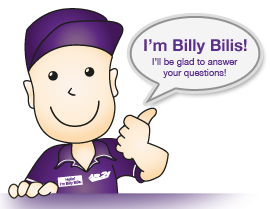 The first step is to call the Customer Service Hotline (02) 854 21 00 and inquire about having an account with us. Our customer service agent will then ask about your personal and business information. Afterwards, our Sales Representative will contact you via phone or e-mail, to inform you of the necessary requirements that you need to submit to AIR21 such as the Credit Application Form, SEC Registration, BIR Registration, Audited Financial Statement and your company profile. We will then review and verify the requirements you've submitted. Once your application is approved, an AIR21 account number will be assigned to you. 5.1 How can I ship through AIR21? Book your shipments through our Customer Service Representative or drop it off at our authorized ship centers. 5.2 What will you ask me when I call your Customer Service hotline to book a pick-up? Prepare the following information: the weight and dimension of your package, its exact destination, phone number, and zip code where you want your package shipped. 5.3 How do I track my shipment? You can track your shipment using our online tracking here on the upper left portion of our website. Simply type your 12 digit airwaybill number in the Track your Shipment box. You can also track your shipment using your mobile phone or by calling our Customer Service hotlines. 5.4 What is my tracking number? Your tracking number is also the waybill number. It's located at the top right corner of your waybill, right below the bar code. 5.5 Can AIR21 ship packages to other countries? AIR21's partner in shipping packages around. 6.1 I'm holding an AIR21 voucher, can I give it to someone else? 6.2 Can I use an AIR21 gift voucher to settle my balances with AIR21? The AIR21 gift vouchers are considered as a stand-in for cash transactions. Since your balance is a form of credit, the AIR21 gift vouchers will not be honored. 6.3 Can I use an AIR21 gift voucher to pay for two transactions? No. The AIR21 gift voucher may only be used for one transaction, although you may use more than one gift voucher for one waybill. 7.1 Can I pay my packages using my credit card? 7.2 How would I know how much I should pay for my package? 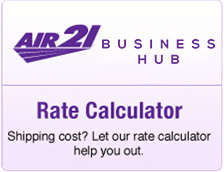 When you call AIR21's Customer Service Representative, they can give you the estimated cost based on the published rates. 7.3 How can I apply for an account with AIR21 ? You can apply by calling the Customer Service Hotline of AIR21 and they can give you the sales contact number. The Customer Service Representative can also get all necessary details from you and email these to Sales as Leads. 8.1 Can I still send packages exceeding the maximum dimension? Yes. But exceeding the stated maximum dimensions should be pre-arranged with our Customer Service Representative prior to acceptance. 1 to 2 business days for direct served, 2 to 5 business days for Out of Delivery Area. 8.3 What if I need packing and crating service for my package? This can be provided by AIR21. However, this should be pre-arranged with Customer Service prior to acceptance. 9.1 What are the prohibited items in a shipment? 1. Will AIR21 International have a designated box? Right now, the dedicated box for AIR21 International is under development. We will be using the regular AIR21 Hebigat boxes (5kg, 10kg, 20kg) first for the meantime, while supplies to be provided upon request. 2. Can I use AIR21's current boxes (e.g. Hebigat) if I plan to send a shipment abroad? Yes, you may use the current AIR21 boxes. 3. What is the maximum weight of the package? For customers' own packaging, it will vary upon the destination country for export and origin country for import. Please check the service reference guide for international shipment destinations or origins. The transit time may vary based on the requirement or special handling of the shipment. 5. Are there countries that you do not deliver to? Yes, anything not included in the SRG is not served. Please check specific zip codes for serviceable areas. 6. Can someone receive on my behalf? 7. Where can I drop by shipment? Yes, you may drop off your personal shipments to all AIR21 Stores nationwide. 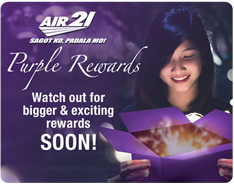 For Corporate accounts, AIR21 will pick-up their shipments or they may bring them to our AIR21 Merville Warehouse. 1. Are there special provisions that we need to follow when shipping out abroad? 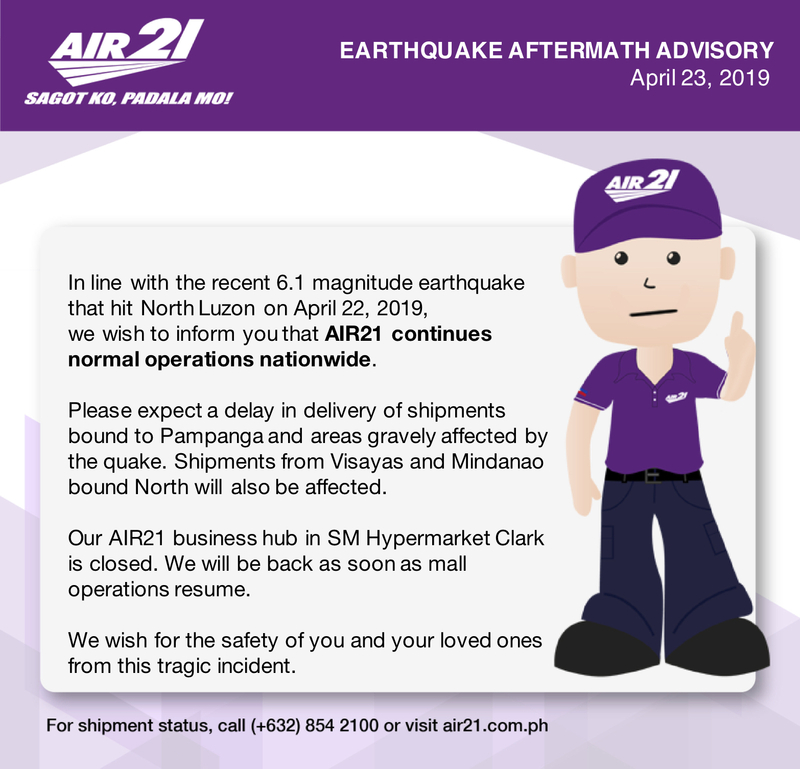 A dedicated AIR21 International Customer Service personnel will be handling your concerns on all prohibited items and dangerous goods. 1. Where can I call in case I need to book a pick-up? You may call us up at (02) 854-2100 to book your shipments. Same call-in cut-off for domestic shipments will apply. 2. What are the details that I need to ready once I call up the CS Hotline? 3. Can I endorse my shipment for pick-up to someone else in case I need to leave before the courier arrives? 1. What is the tracking facility of AIR21 International shipments? You may track your shipment by checking our AIR21 website at www.air21.com.ph or call us at (02) 854-2100. 2. What time do you start to deliver per day? We start our deliveries at 8am daily. 3. Can someone receive the shipment on my behalf? Yes, someone may receive the shipment on consignee's behalf. 1. How do I apply for an AIR21 International account? You may call us at (02) 854-2100 to apply for an AIR21 International Account. Our logistics solutions-driven Sales Team will be in close contact with you for your requirements. 2. If I am already an AIR21 Domestic account holder, do I still need to apply for a different account number to enable corporate transactions with AIR21 International? For existing AIR21 Domestic account holders, you need not apply for another account with AIR21 as we will be using your current credit line with AIR21 for your international-bound shipments. 1. How can I be assured that my personal details are safe with you? The AIR21 Online Booking facility is protected from external and internal threats through its network security devices and payment gateway provider that it follows the PCI DSS (Payment Card Industry Data Security Standard) ruling. 3. Can I create another account under my name but using a different email address? Yes, this is allowable for your convenience. 4. For how long will you keep my transaction history? At the moment, the AIR21 Online Booking system only accepts shipments that use the AIR21 standard packaging such as SuLight (Extra Small, Small, Large), Bulilit Box (3kg), and Hebigat (5kg, 10kg, 20kg). Yes, AIR21 will pick-up on a holiday if booked ahead. You may book 1 week in advance. Yes. AIR21 will follow the shipper's indicated time that the shipment is ready for pick-up up to 7PM. Yes. The minimum amount required is Php 350. Shippers may book another transaction to complete the Php350 requirement in case that the first transaction does not reach the minimum amount. 1. Do you have franchising opportunities? Yes, if you're interested in opening a franchise please send us a letter of intent to franchise@af2100.com.